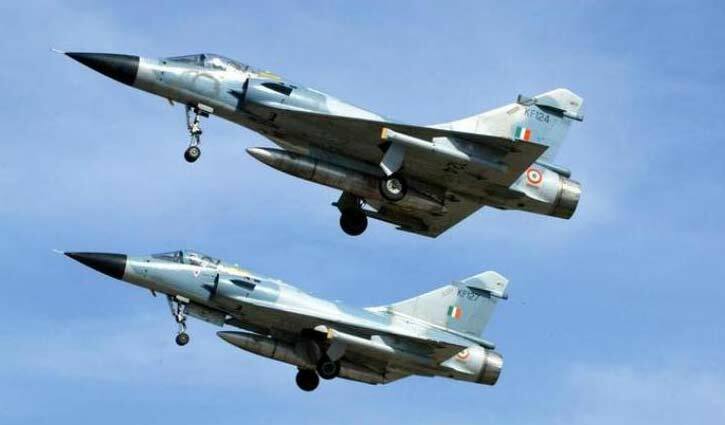 International Desk: India carried out pre-dawn air strikes on terror camps across the Line of Control on Tuesday, according to reports. At around 3:30 this morning, 12 Mirage 2000 fighter jets of the Indian Air Force dropped 1,000 kg bombs on terror camps of the Jaish e Mohammad, completely destroying them. Sources told NDTV that the strikes were "100 per cent successful" and went on "exactly as planned". Terror launch pads in Balakot, Chakothi and Muzaffrabad across the Line of Control were destroyed by the laser-guided bombs and so were the control rooms of the Jaish, reported ANI.